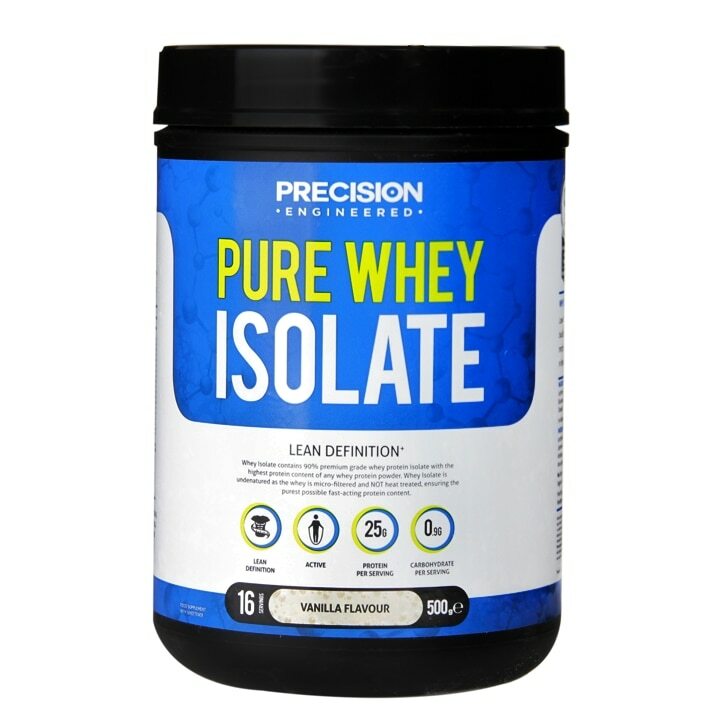 Precision Engineered Pure Whey Isolate is rated 4.7 out of 5 by 9. Rated 5 out of 5 by Becs88 from Great flavour, great protein boost This is the first protein shake I've ever tried, and I have to say it's pretty good! Just mixed up with water thoroughly in gym water bottle post-workout works fine for me. The vanilla flavour is really quite nice without being too sweet, making it a tasty, easy, low-calorie way to increase protein for my workouts. My fitness is coming on really well now. Highly recommended! Rated 5 out of 5 by tjfr from Great product I've been using this for several months now. Great product. Easily digested and gives lots of energy. Rated 3 out of 5 by DannyBoy786567 from Alright - taste was a bit sickly The price, and the delivery service of the whey protein (vanilla) was probably the best thing about the item. The taste of the whey protein was quite sickly. I tried it with milk, and it just had a really bad after taste. I would recommend buying Optimum Nutrition Strawberry 100% Whey protein. It works out cheaper to get this protein during the promotions Holland&Barrett always do. It tastes better and helps u gain more muscle better since it has more proteins and carbs. Rated 4 out of 5 by Anonymous from Great Quality I had been searching for Isolated protein powder for a while then i was so happy to find this in HB. A bit more expensive to be compared with normal whey one but for Isolated i think its good price. The taste is really nice (vanilla) and you can mix it up with anything (water, milk, smoothie...). Definitely buy it again. Rated 5 out of 5 by Lewis92 from Great quality as always I've been using Holland and Barrett for about 4 years now ,I wouldn't go any where's else, excellent product and excelllent service. Will be back again soon without a doubt. Rated 5 out of 5 by TarsFG from My go to Protein Really love the taste of this (vanilla), not chalky like other proteins I have tried. Just mix mine with water & it's good to go. Even better when half price!